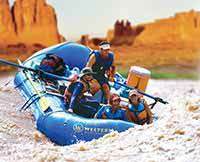 From start to end this undoubtedly has been the best experience of my life so far and I am 67 years old and have traveled all over, just not on the Colorado River through Cataract Canyon. The raft was piloted by Nick, who is an incredible guide. In fact all the guides were fantastic and so nice!!! The food was fabulous, attractive and delicious! 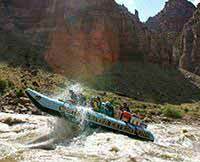 All the rapids were so much fun and the last one was the wildest! Nick did an incredible job of guiding us through them all!!! Camping on the beaches was lots of fun too! And I liked having a tent to sleep in. The scenery was so beautiful, no words can fully describe its magnificence. The plane ride back to Moab, over the canyons, was fantastic! I definitely want to do this trip again!! !